I read this article and found it very interesting, thought it might be something for you. 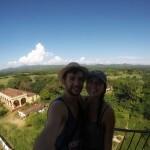 The article is called Trinidad: Complete Guide – Topes de Collantes, Valle de los Ingenios and Playa Ancón and is located at https://capturetheatlas.com/trinidad-cuba-complete-guide/. 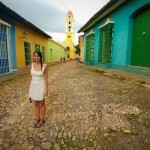 If you only have three days to see Cuba, I would recommend spending at least one in Trinidad. The most beautiful city of Cuba, located in the central part of the island, is an ideal place to enjoy history, culture, nature, and relaxation. 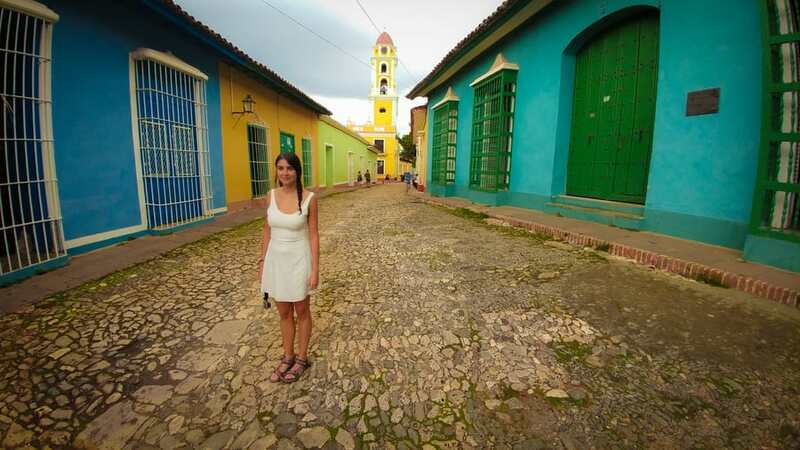 Legacy of the Spanish colonization period is displayed here in its beautiful cobblestone streets and colorful buildings. 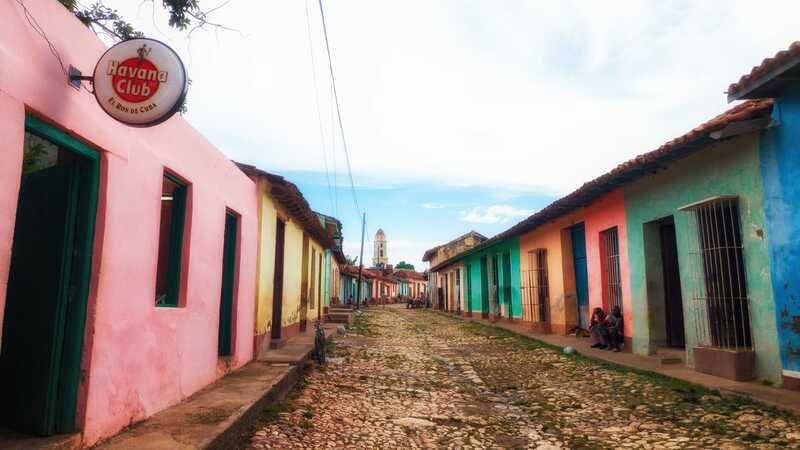 Trinidad was the third city founded by the Spaniards when they arrived in Cuba. 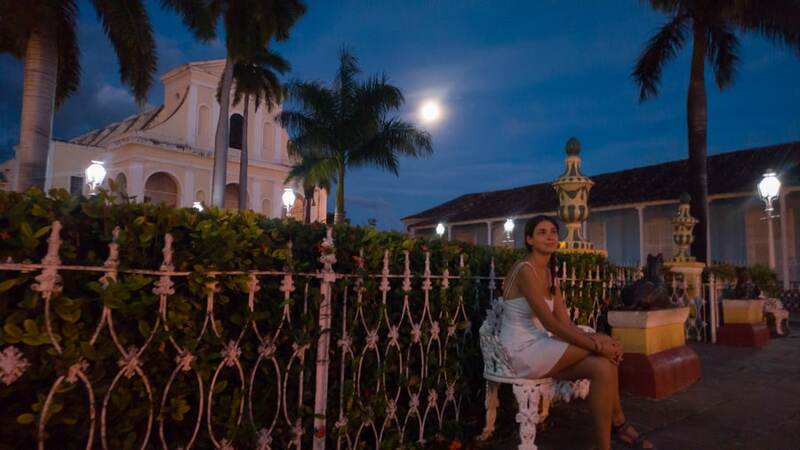 This capital city of the Sancti Spíritus province won its title as a World Heritage Site because it is one of the best-preserved colonial cities in the Americas. Considering its ability to maintain a breathtaking World Heritage Site similar to others around the world amidst the environment of its location, you can guess that the level of wealth is exponentially higher here. 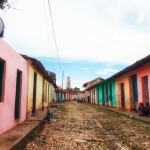 Old Town of Trinidad. 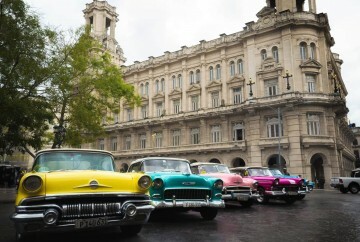 Visit the authentic colonial Cuba. 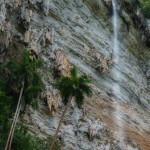 Topes de Collantes. Discover the mountains where half of the country’s endemic species live. Valle de los Ingenios (Valley of the Sugar Mills). Explore the sugar mills operated by African slaves. Playa Ancón (Ancón Beach). 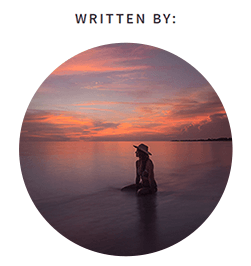 See the most beautiful sunset of your life. Nightlife in Trinidad. The liveliest music house on the whole island. Where to eat in Trinidad. Our top 3 restaurants picks. Where to stay in Trinidad. Our private house. 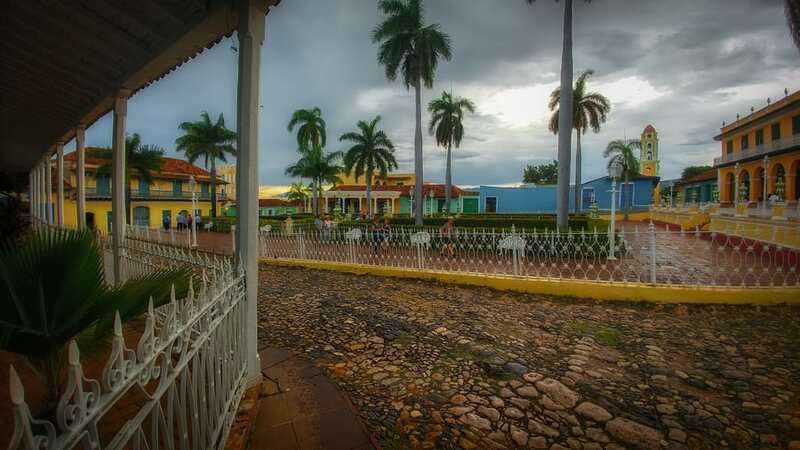 Trinidad is considered to be the city museum of Cuba, both for the amount and variety of sights, and also for the conservation of historic facades. The life of the city moves around the Plaza Mayor, where all points of interest we will discuss next are within a 10-minute walk from there. The Romantic Museum of Trinidad, also known as Palacio Brunet, is located in the northern corner of the Plaza Mayor. It is the orange building that appears in the far right of the following pic. It is an eighteenth century colonial residence that has managed to preserve all of its details. Here we can find displays of historical furniture, jewelry, crockery, linen, and other luxuries of the time. This is the best way to learn about the colonial life in Trinidad. A Mudéjar style especially highlights the Andalusian patio in the inside. The price of admission is 2 CUC. It opens at 8:30 Tuesday to Sunday and closes at 17:00 except Tuesdays and Thursdays when they close later at 22:00. On Mondays it remains closed all day. Very close to the Plaza Mayor, we find the Historical Museum sticking out with its square tower. This nineteenth century museum located on the Palacio Cantero is not only a display of the wealth possessed by their former owners, it also teaches about the history of the sugar industry, business of the slave trade, as well as artillery and weapons used at the time. Do not miss climbing up its tower to see some very nice views of the city. The price of admission is 2 CUC. It is open from 9:00 a.m. to 5:00 p.m. from Saturdays to Thursdays. On Fridays it remains closed all day. We found this museum installed in the old Convent of San Francisco de Asís of the XVIII century. 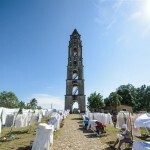 Its bell tower is the only remaining part from the original structure, and is the highest one amongst all of old town. You can find the best views of the city from here. This museum explains the warfare that took place between the militias of Fidel Castro and the counterrevolutionary bands that hid in the nearby Sierra del Escambray (Escambray Mountains). Some interesting objects that we can find inside include a pirate boat, a GAZ 63 truck, and fragments of an airplane shot down in the 1962 missile crisis. 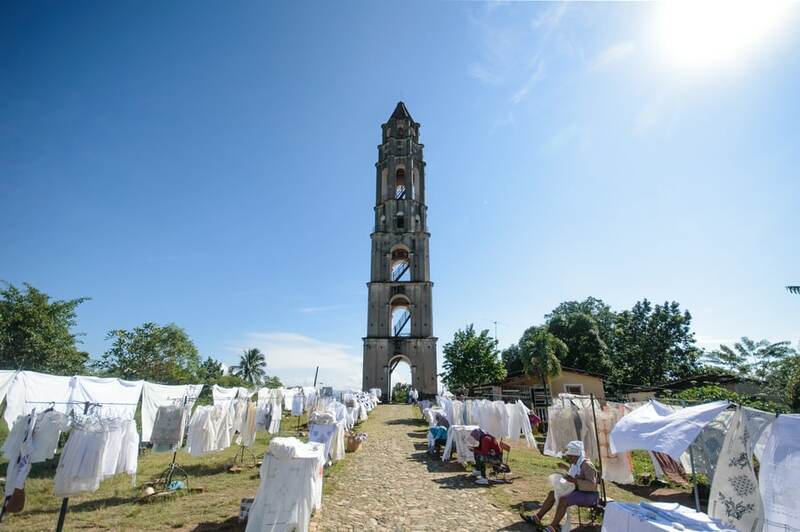 The Church of the Holy Trinity is one of the largest places of worship in Cuba. This majestic building is the real protagonist of the Plaza Mayor de Trinidad, surpassing the extension of the square by a lot. Inside stands the image of Our Father Jesus, whose mantle embroidered in gold was donated by Queen Elizabeth II. 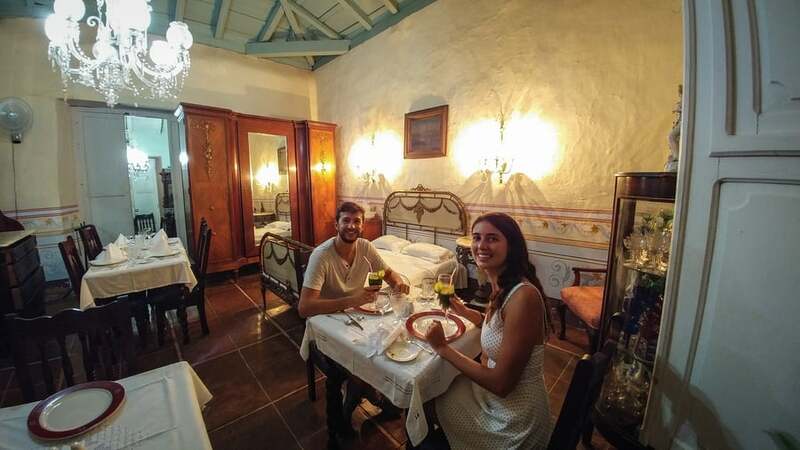 If you missed visiting this two establishments in Havana and in Cienfuegos you are in luck as Trinidad will give you a third chance. Although the mythical Bodeguita del Medio where Hemingway used to go is the one in the capital, if you missed it and really want to try the most famous cocktail in Cuba, do not hesitate to visit this place. In the Coppelia of Trinidad, you will find a small supply of ice cream flavors at really low prices just like you would in Havana and Cienfuegos. We recommend you to try those if you have not already done so. But far from museums, palaces, churches and locals, what really made us fall in love with Trinidad were its cobblestone colonial streets. Although all are beautiful, the ones that left us speechless were those that we walked on between the Plaza Mayor and Plaza de las Tres Cruces, on Amargura Street and Real de Jigüe Street. The variety of colors is unimaginable. 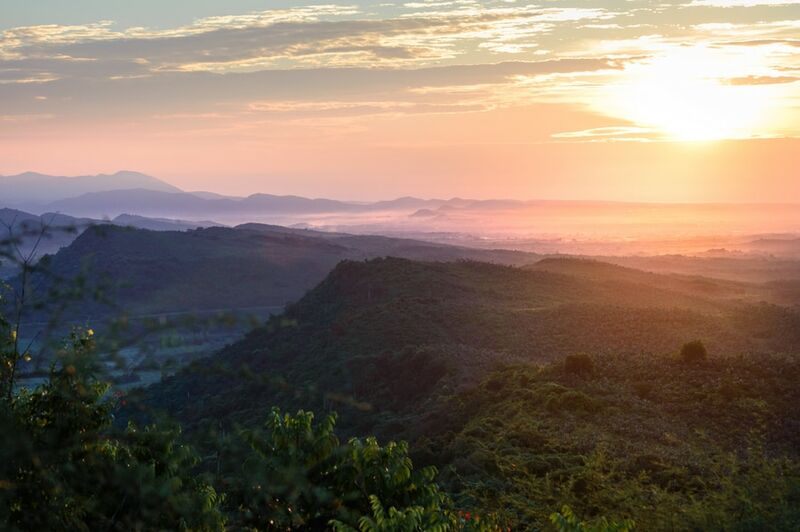 Your eyes will lose count until you come across the Sierra del Escambray. 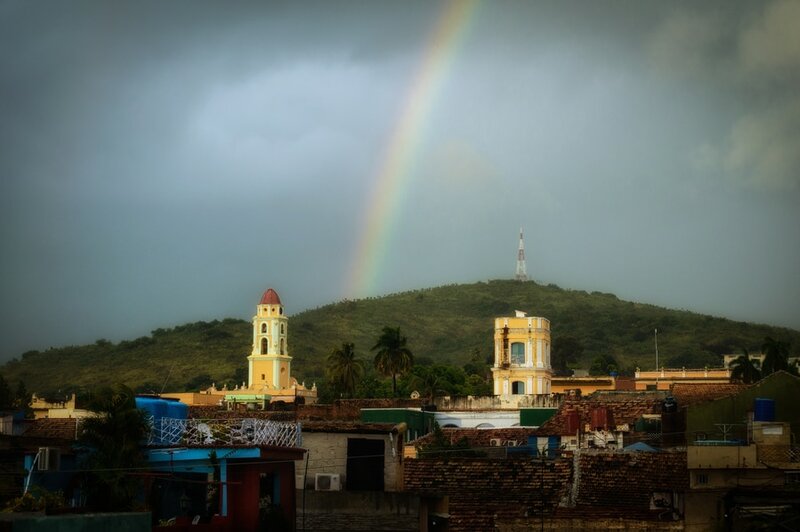 And if you want to see the best views of not only Trinidad’s historic center, but also Valle de los Ingenios, Sierra del Escambray, and Playa Ancón, we recommend you to climb up Cerro de la Vigía. The journey will take you about half an hour from the center of Trinidad. We went up to see the sunrise and the morning mist. The beauty of the landscape touched us. In the following map you will find both of the points mentioned above, as well as places to eat and bars in Trinidad that we will discuss in later sections. 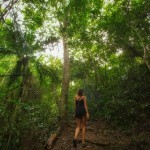 If you visit Trinidad, you cannot miss a trip to Topes de Collantes National Park. 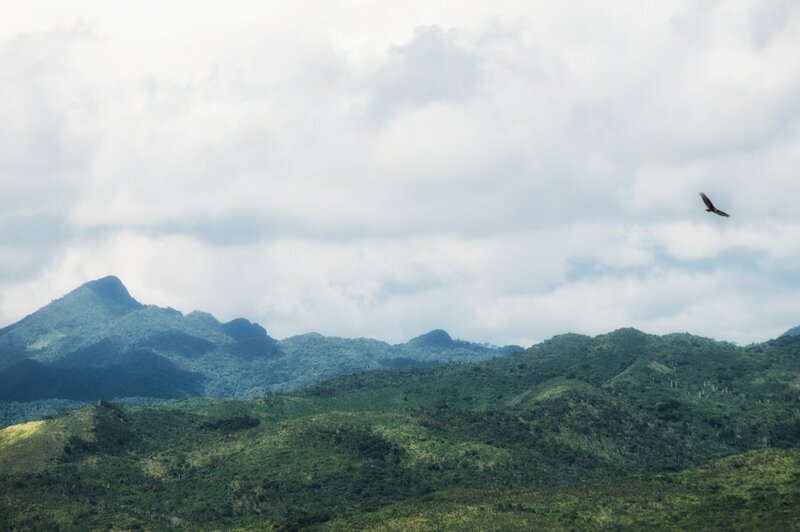 Fifty percent of Cuba’s native species inhabit in these mountains that are part of Sierra del Escambray. Along with the wildlife scene, its tropical vegetation and rock formations combined is an environment that will leave you speechless. It is an incredible way to spark your sense of wonder. It took us a long time to find a car that would take us to the mountains. Drivers sometimes say that the slopes are very steep up there so not any car can go up, in order to increase fare prices. 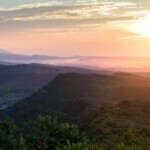 They may also claim that not many people want to go to Topes de Collantes, which makes it difficult to set up shared cars. I do not know what part is true of all this, because the driver that we went to Topes de Collantes with apparently made two round trips from there to Trinidad that day. At first, he told us that he could not find anyone to share the car with and that he had to charge us for the price of the whole car. However, upon returning, we realized that the car was to return to Trinidad with other passengers who had gone there the same day. Given that we were able to share the return trip, the price we paid for the taxi in the end was 25 CUC instead of 30 CUC which was what we negotiated for a round trip with only us. 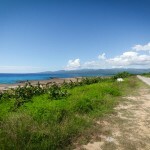 Although it is only 20 km from Trinidad, the ride takes approximately 40 minutes each way. 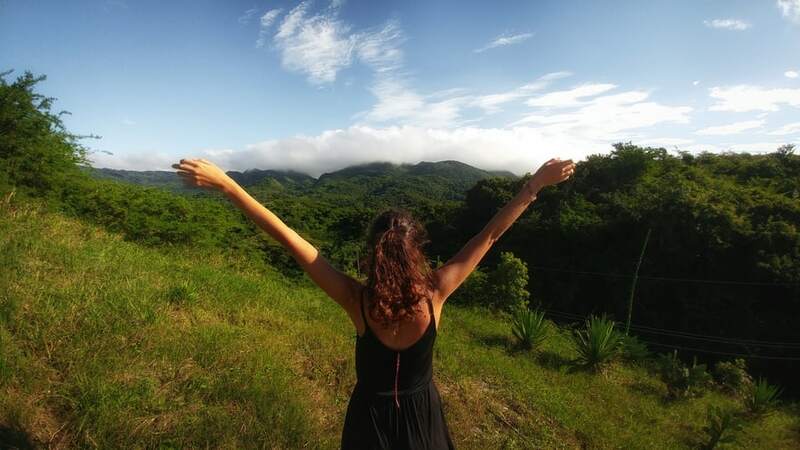 Before embarking on route, our driver took us to a travel agency called Paradiso in the center of Trinidad to buy discounted tickets for Topes de Collantes. We paid 6.75 CUC instead of 10 CUC at the park entrance. 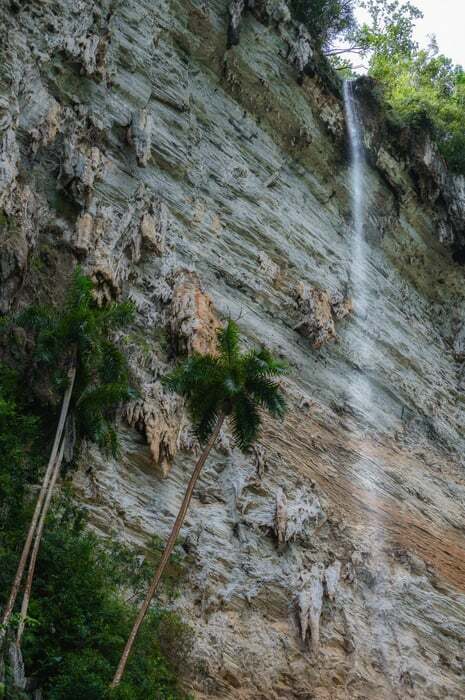 The main attraction of Topes de Collantes is Salto del Caburní. From the village of Caburní, you only have to follow the path to meet this 64-meter waterfall, which is the highest waterfall in the Caribbean. After about 100 meters on the road, there are two cabins that offer snacks and refreshments. The attendants also verify that you have an entry ticket, otherwise you would just purchase it right there. 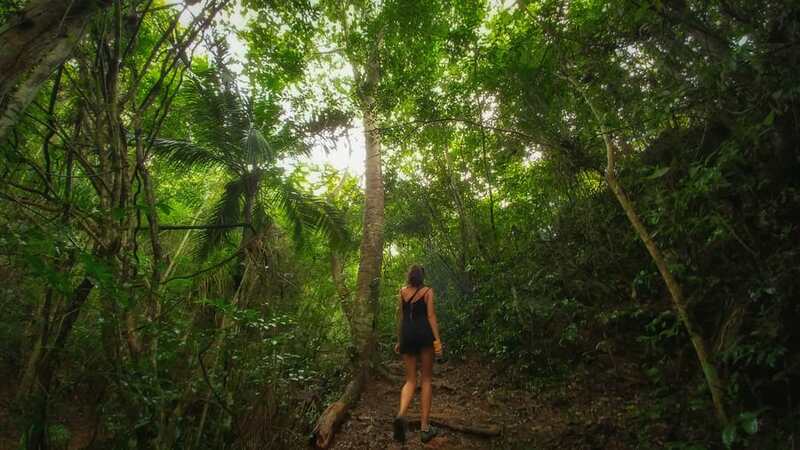 As you go down the path, the dense jungle begin to cover the sky. Giant butterflies, chickens and some lizard will accompany you on a route that is not easy. The humidity and the slippery mud on the road forces you to be equipped with closed toe shoes. We saw several groups that had to turn around when they were trying to descend in the mud with flip flops. 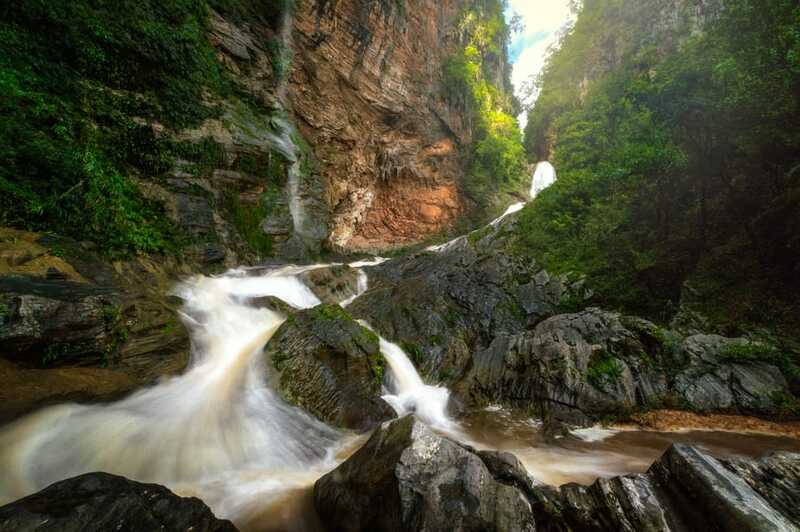 You should be able to complete the 3.5-kilometer route in less than two hours before you reach the waterfall. 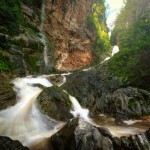 Unfortunately, Salto del Caburní did not surprise us as much as we expected. It had rained a lot the previous night and the blue waters that we had seen in photos were stained with reddish clay from its surroundings, and we couldn’t swim in there. If you have a window of several days to visit Salto del Caburní, avoid going if it has rained recently or if there is any rain in the forecast. A tropical storm began on our walk back on the trail. Despite the fact that it was barely a half hour journey, we had to take refuge in an outpost because moving forward was impossible. If you do not pay attention, it will easily go unnoticed. 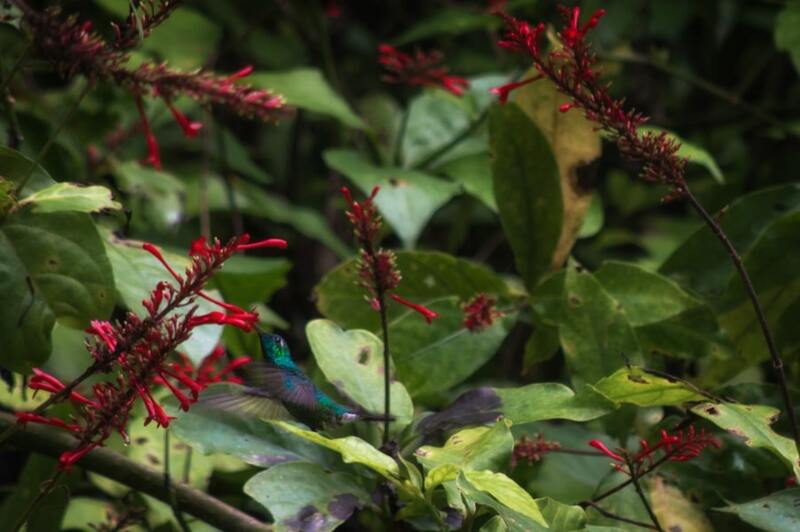 With the aid of a good camera, you will discover that what flits between the flowers that surround Salto del Caburní is not an insect, but a Cuban hummingbird. The smallest bird in the world, also known locally as zunzuncito, got its name from the sound of its wings when flying. 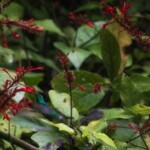 This bird lives within the mountains of Topes de Collantes as one of the 50% of native species on the island. 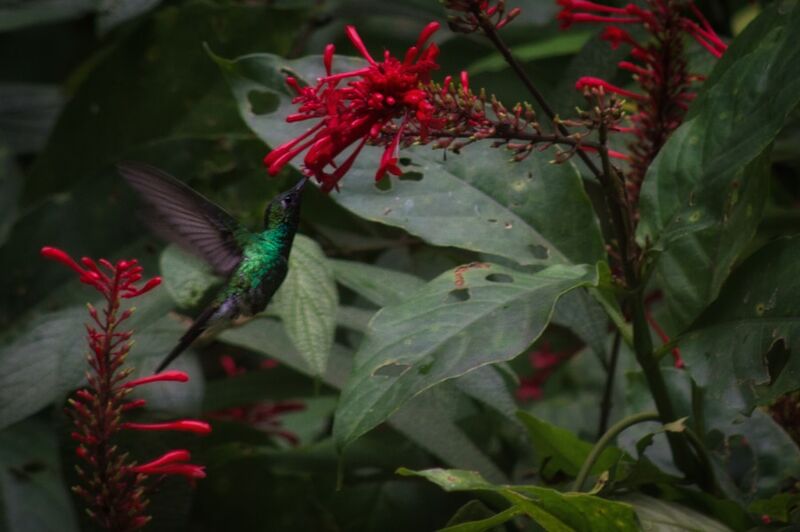 Apart from having a camera with great focusing speed, you will have to pay close attention to see the zunzuncitos feeding on flower nectar at the edge of the river where water from Salto del Caburní exit. 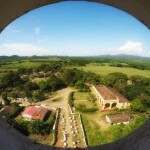 Valle de los Ingenios, Valley of the Sugar Mills, is another must see on your visit to Trinidad. Sugar factories and distilleries had settled in this valley since the 17th century. At the time, these industries supplied sugar to virtually all of Europe, creating an incalculable fortune to the Spaniards who undertook the new continent. However, Valle de los Ingenios also hides an obscure truth. The fortunes of landowners resided in the hands of slaves brought from Africa. Valle de los Ingenios is the place where we have felt closest to that dark, hidden history of our country, Spain. To learn it firsthand, you must cross the Atlantic and let the spoils of our colonies tell us. 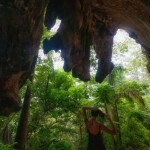 It is not surprising that like Trinidad, Valle de los Ingenios is recognized as a World Heritage Site by UNESCO. Thanks to this, important restoration and conservation actions are being carried out. Of all the sugar plantations settled in Valle de los Ingenios, the most prosperous one was Ingenio de Manaca Iznaga mill. It is very well-conserved, with a house farm that was once part of the slave barracks, as well as an impressive watchtower that turned out as the highlight of this visit. 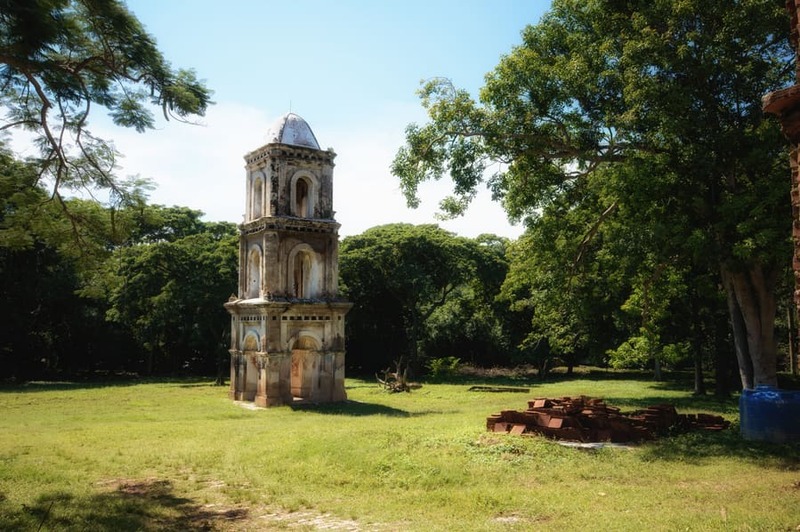 The Manaca Iznaga tower served as a watch tower over the slaves and warned in the event of an escape or fire in nearby plantations. 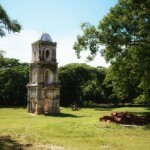 The estate of Manaca Iznaga today is quite exploited by tourism. At the entrance, there are lots of stalls where you can buy handmade souvenirs. You can find everything from hats, handmade tablecloths to sugar cane juice. Climbing the tower costs 1 CUC, and you will undoubtedly have the best views of the entire valley from there. Inside the property, you will find a museum shop with lots of souvenirs. After the farm, you will arrive at what is known as ingenio, the device that extracts sugar cane juice. We were very fortunate to be able to see a demonstration that a private guide was doing for his clients. 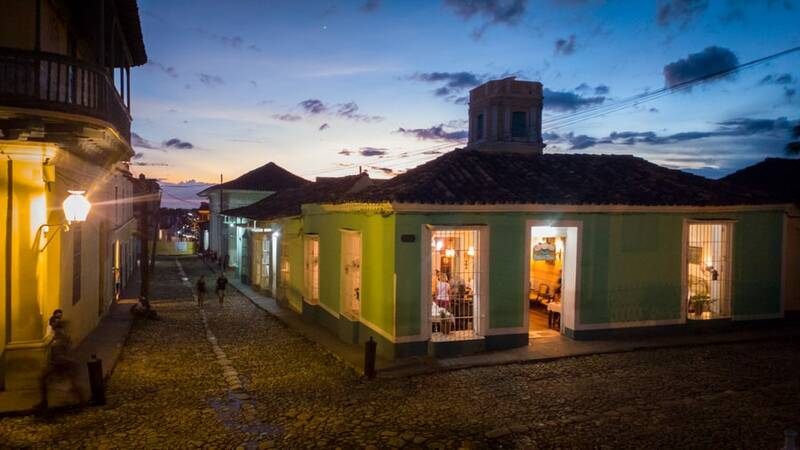 Another construction that still stands is the slaves’ barracks, now as the restaurant El barraca de Manaca. The ingenio of Manaca de Iznaga surprised us with beautifully conserved buildings and the incredible tower with views of the entire valley. Then, the Ingenio San Isidro de los Destiladeros captivated us with an incredible tour from our guide. The price for the visit is only 1 CUC, although it would have still been worth it even if it cost us more. The gentleman who took us to the entrance is the only farm worker and the one in charge of conservation. Tourist visits here are very seldom, and this plant did not hold back on showing us every detail about the farm. Unlike the previous one, the main business being carried out here is to distill rum using sugarcane from the plantations. The mill presides over a smaller but quite similar watch tower to the previous one, also once used for slave watch. The main construction together with the remains of the farm was much deteriorated. He told us that this was used to keep animals during the revolution, and has not obtained similar restoration like that of his sister in Manaca since. Then we walked through the remains of the distillery, hidden under the overgrown grass. He explained the whole process step by step from harvesting sugarcane to packaging the rum. Taken from their African lands, the slaves arrived in the New World, separated from what they wanted and what they knew. Nothing was familiar to them, no one they knew before, not even the flowers or insects told them about their home. They just found something in the farms where they were enslaved that made them feel their land. 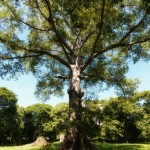 The sacred tree, the Ceiba or Bongo. It was not exactly the same kind of tree but it was very easy to confuse them being that they from the same family. 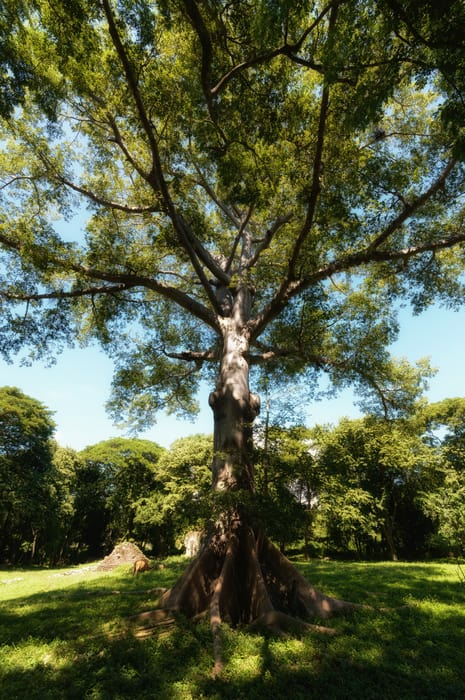 Under the Ceiba of the farm of San Isidro, I, for the first time, was put in front of all the horror caused by Spain where millions of families saw their loved ones ripped away and taken to distant lands. There is a steam train that takes you to Manaca Iznaga from Trinidad for 10 CUC per person. As we discussed, this mill is amazing but we would not have done it without the whole story we were told at the San Isidro sugar mill. That is why we recommend that you visit at least these two mills. However, the farms are quite far away from each other, so the train option is not good if you want to do something other than going to Manaca. We found transportation through the landlord of our private house. 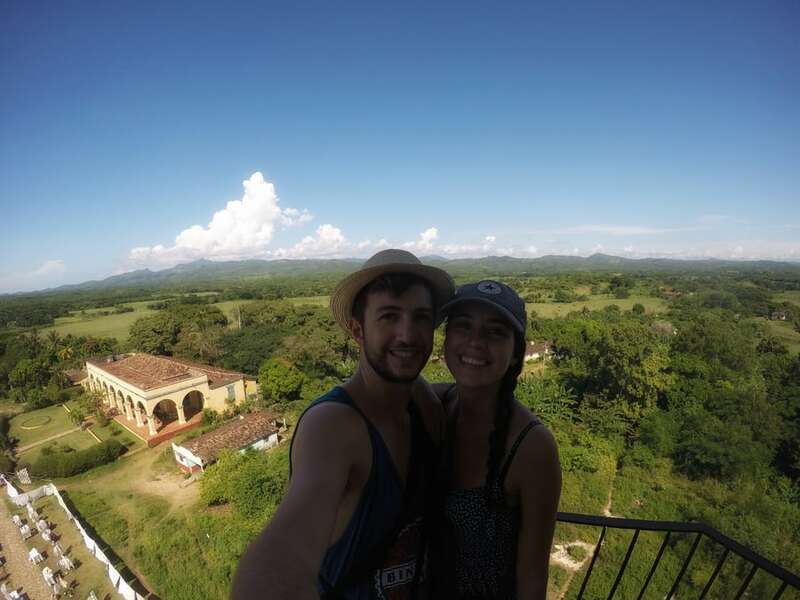 For 35 CUC, he took us to the two mills and a stopover in Playa Ancón (Ancón Beach) on the way back, as we discussed in the post where we wrote about our budget. 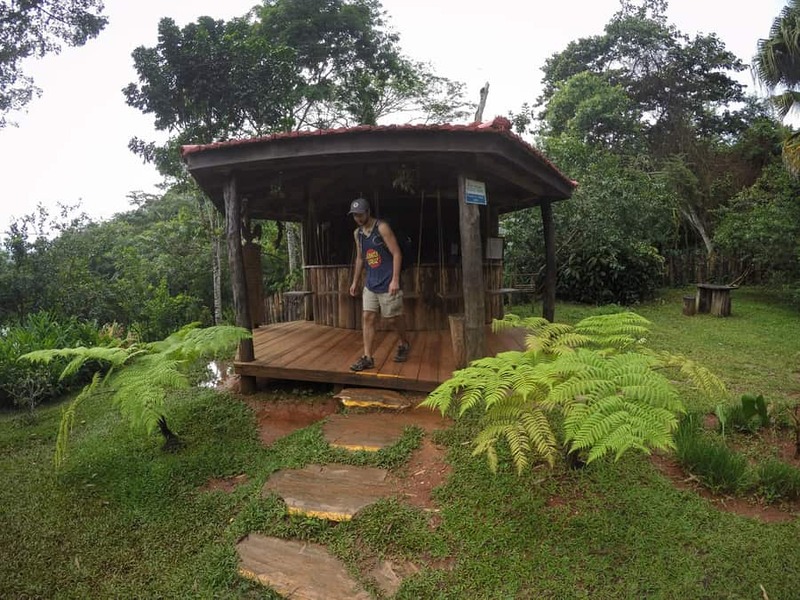 Valle de los Ingenios can be easily visited within three hours’ time, so I recommend you take advantage of the day and try to negotiate with a taxi driver for this type of route to see different points of interest near Trinidad on the same day. 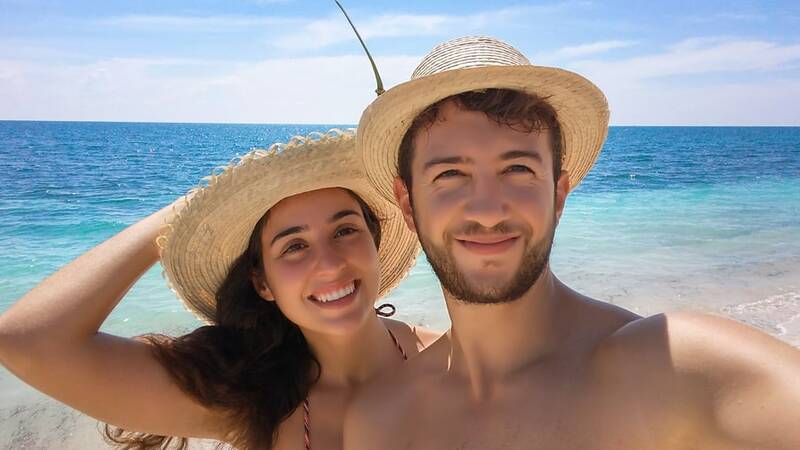 Playa Ancón is that expanse of white sand and crystal-clear waters you day dreamed about when proceeding with buying your plane tickets to the island. However, to say it is only that is just not enough. 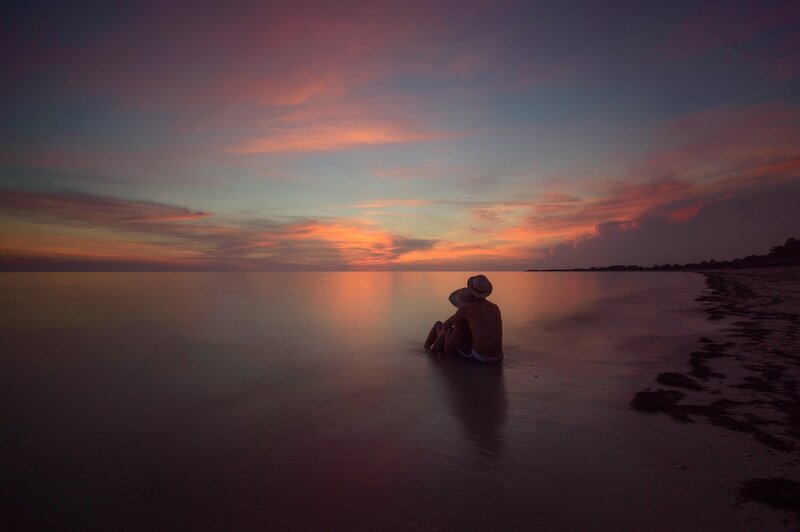 At Playa Ancón, there are also rocks that hide millions of colorful fish, flames in the sky under the sunset light, and hours under the beach umbrella that will add years of life. In short, going to Playa Ancón is mandatory if you visit Trinidad. 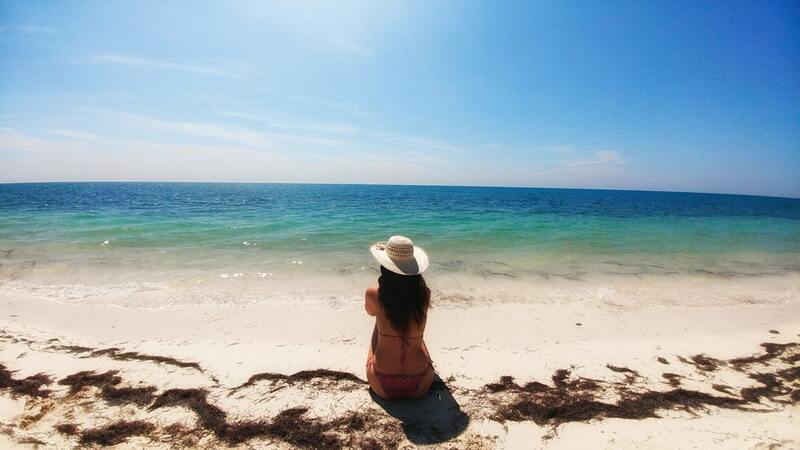 However, I cannot say that it was our favorite Cuban beach due to its easy access. There is a monstrous hotel on this beach, full of tourists who we managed to dodge with difficulty – a miracle for families traveling with children, and a nightmare for those who like to enjoy nature on their own. 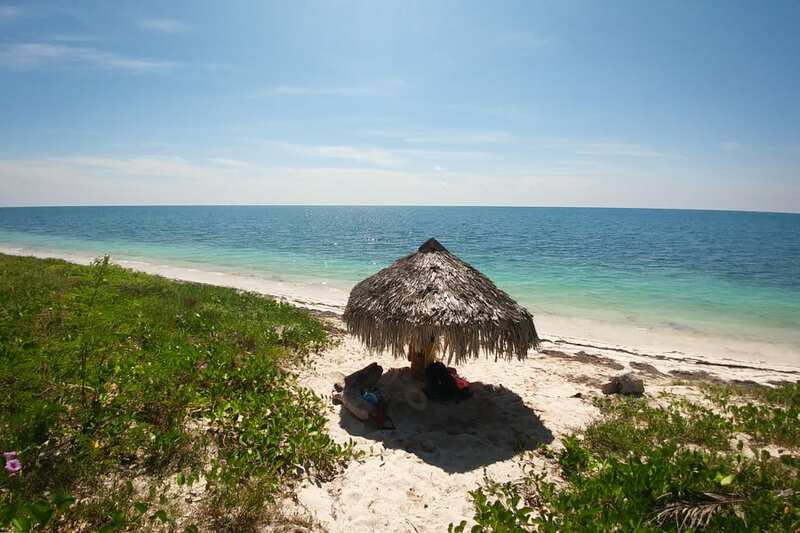 However, we will tell you some tricks to make Playa Ancón your private paradise. 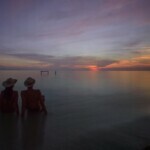 We liked Playa Ancón so much that we returned for another visit because once was not enough. The first day, we rented bikes in Trinidad for 5 CUC per person. In total, it takes about 40 minutes to reach the beach, so you have to take your physical condition into account. Bear in mind that the return trip will be an uphill ride. 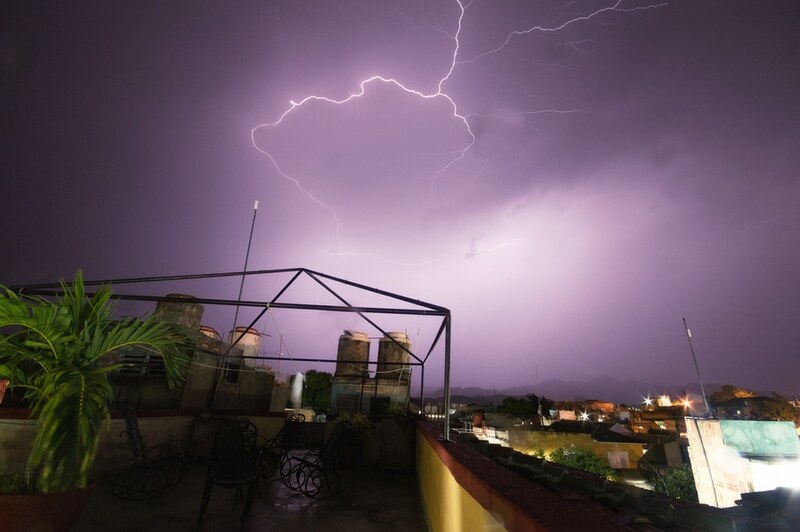 Our return to Trinidad by bicycle was hard and unpleasant because a thunderstorm started out of nowhere. With the rain, the road was filled with crabs that were impossible to not run over. 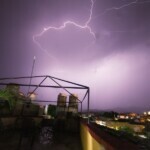 To add to this, some thunder threatened to hit us and it was completely dark by the time we returned. The journey to Playa Ancón was not exactly a path of roses either. The heat was brutal, and we found out from our private house that the first beach we had planned to stop at on the way, La Boca, is a sewage dump. Since La Boca is the closest beach from Trinidad on the way to Playa Ancón for most cyclists, it is likely that they would have stopped there to swim and sunbath without knowing this information. Nonetheless, not all was bad. With a bike, you are free to stop and check out any beach you want until finding one that you like most. 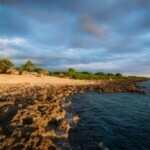 You can also find stretches of both white sand and rocky coves to snorkel. 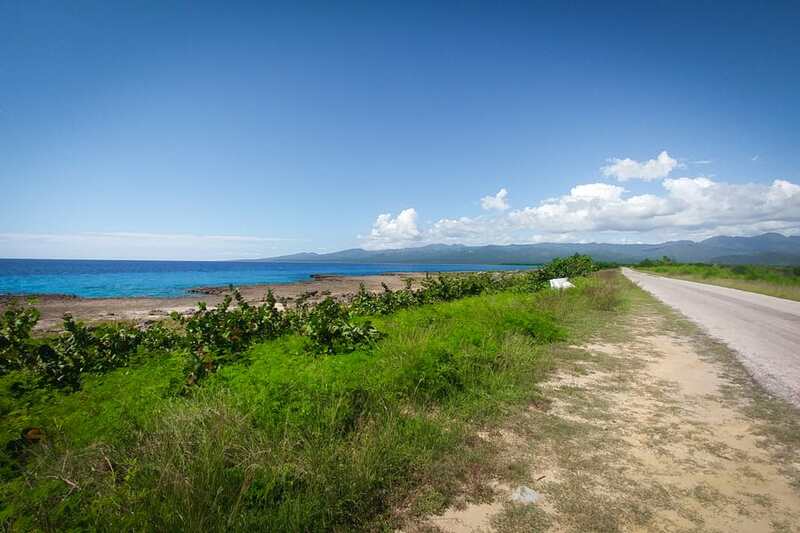 In addition, you can bike to the main beach where there are places to eat, and then return to one of the more secluded beaches where you can be alone. 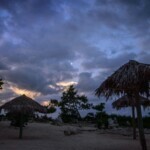 We made our second visit to Playa Ancón through a personalized tour with the private house where we were staying, as we have commented in the Valle de los Ingenios section. 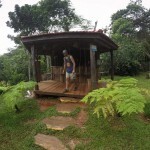 Our landlord took us to see the two mills in the valley and then left us at Playa Ancón. After sunset, he picked us up at the same spot where he had left us. The best thing about going to Playa Ancón by car is the comfort and quicker trip time. 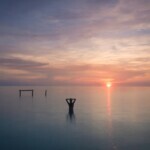 However, it limits the areas of the beach that you can explore to a large extent. This is undoubtedly the best option for those who want to spend the day laying down and ordering cocktail in the beach bar next door. We paid 35 CUC for the tour, but you can easily find a round trip taxi ride between Trinidad and Playa Ancón for 10 CUC. If you plan to visit both Valle de los Ingenios and Playa Ancón, we recommend that you choose the tour option as you will save money and time. 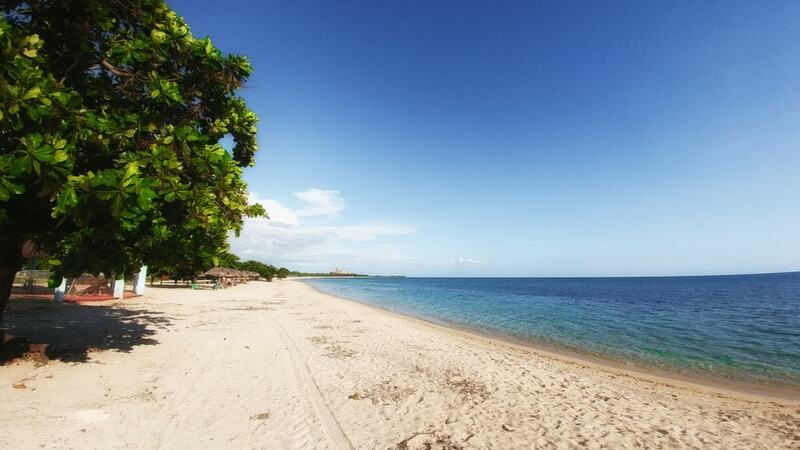 Playa Ancón is an extensive land that spreads out over the Caribbean Sea. Imagine beyond a very long beach, as it is an extension of land that you can hardly cover completely on foot. Each section is different – some with all the amenities ideal for families, others where you can enjoy the paradise of Playa Ancón in solitude. We promise to help find the option that best suits you in this section. As some of these coves have no known name that we knew, we present them to you on a map with a made-up name by activity or description so that you know what part of the beach we are talking about. The first beach we will talk about, and the only beach we named precisely for you to stay away from, is La Boca Beach. 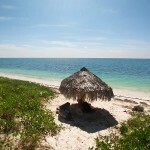 If you go to Playa Ancón by bicycle, after half an hour pedaling through hot Cuba, it is tempting to refresh yourself in the first piece of sea you see. However, sewage from both Trinidad and neighboring towns dumps in La Boca. Alas, the beach is not visibly dirty and there are no signs of warning. We avoided this experience thanks to the owners of our private house who informed us of this fact. If you go by there, you may see some clueless tourists enjoying their beach day in these waters. No matter how hot you feel, wait for the next beach. Paradise is close. We promise! Although almost all of Playa Ancón is white sand, there are stretches of rocky beaches where the waters are more crystalline. If you come by bicycle, we recommend a stop at the point we have called Snorkel Playa Ancón on the map. 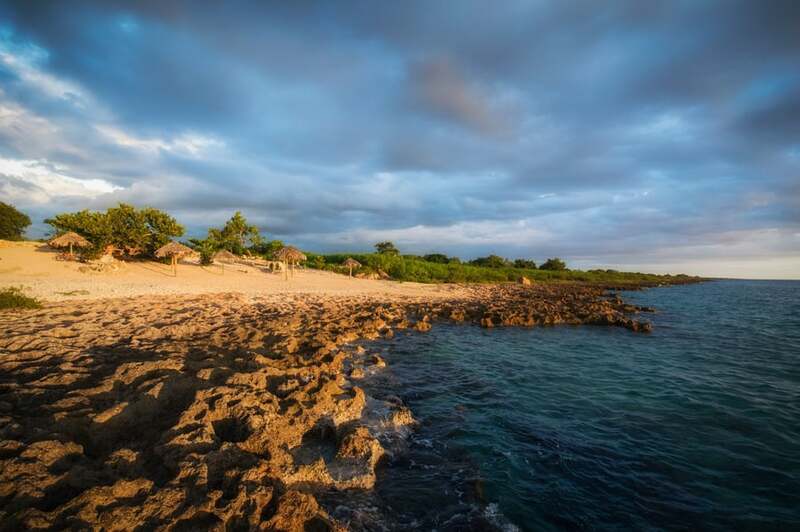 This stretch of beach has rock piles full of colorful fish and other marine life, where you may even find coral while snorkeling! When you are tired, look for the big umbrellas made of straw for a rest. Since there are more rocks than sand in this area of Playa Ancon, you will find a few companies who rent snorkel gear along the road. Because we love to snorkel, we had our own diving goggles and was able to spend some alone time at this part of the beach. 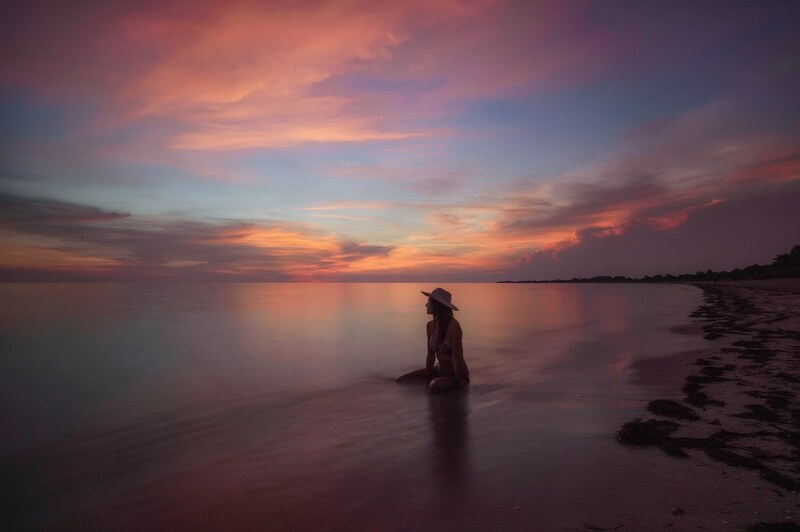 In addition to being an intermediate point between the main beach of Playa Ancón and Trinidad, it is a perfect place to watch the sunset. If you have come to Playa Ancón by bike, remember that you also have a long way back and it is not convenient for you to spend 40 minutes pedaling in the dark. From this beach, it will take you less time to return to Trinidad. If you decide to spend the day at the beginning stretches of the main beach area at Playa Ancón, there will be a beach bar nearby to get food or a cocktail while at the same time you won’t be surrounded by hundreds of beach goers. This is your ideal beach if you like the convenience of having a bar next door and at the same time you do not want your beach neighbor’s children to step on your towel. We visited this side of the beach the day we biked, but it is also an ideal place if you come by car, since you will be isolated but still close to an establishment (water bottles available here) at the same time. This area of the beach is the most crowded of all. Guests of the hotel only have to cross the sand that separates them from the sea. It is also the favorite meeting spot for taxi drivers. If you ask to be taken to Playa Ancón, they will drop you off here. 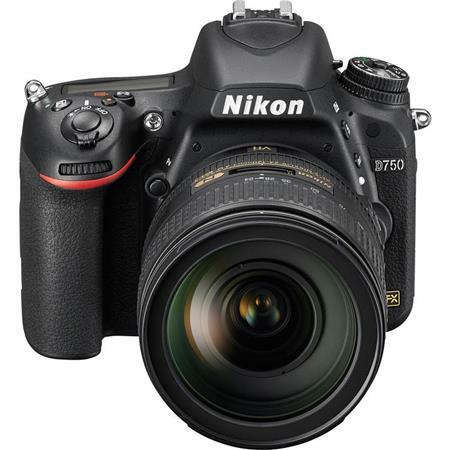 Cubans do not like to drive at night, so avoid asking for taxi services after sunset at all costs – and that can be a problem for a photographer. The day we went to this area of the beach, we came in with our landlord’s car and he asked us to be at the doorstep of the hotel no later than 8:30, where he would pick us up and head back to Trinidad. When the sun began to fall, we had just enough time to get to the hotel to meet our landlord from where we were at the beach. Surprisingly, the crowd that had been here in the morning disappeared. 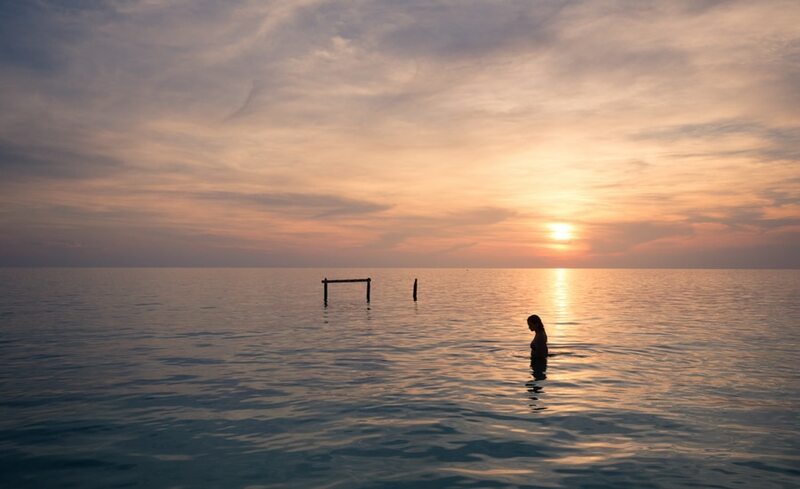 Almost alone, we experienced one of those sunsets that will be kept in our minds’ eyes forever. We have seen many more since then, but none as beautiful as this one. 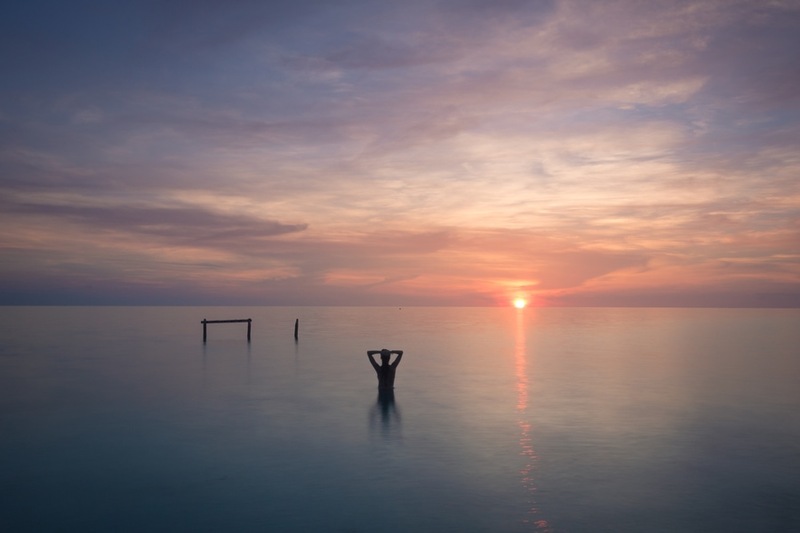 First, the water became a reflection of the infinite sky. 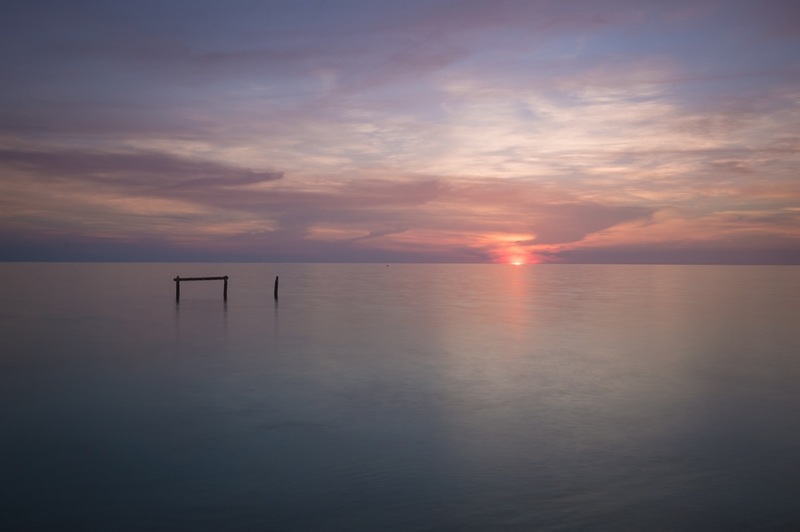 When the sun plummeted, the sky and sea were engulfed in flames of bright colors. Purple, orange, fuchsia, blue… The best valued free show in the world. We spent the whole morning at the place we called “Paradise of Ancon Beach” on the map, a hidden spot close to the hotel. 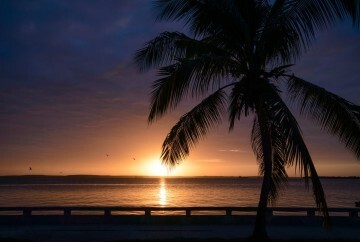 Then, when we saw the sunset in front of the hotel, we could only imagine how much better it would be from the Paradise of Ancon Beach. As we discussed, most of the taxis prefer to drop you off near the hotel. Walking along the beach on the left towards the end of Playa Ancón, you will see straw umbrellas hidden among the vegetation. You have to walk about 15 minutes to find yourselves alone and make this your own private beach. In the 5 hours we spent in this corner of white sand and blue waters, nobody came crossed our umbrella. And the only ones who stepped on our towels were crabs and hermits, which came out of the holes they dug in the sand from time to time. Snorkeling is not the best here as the waves silt up the water, however, if you only have time to visit one beach, this would be it. 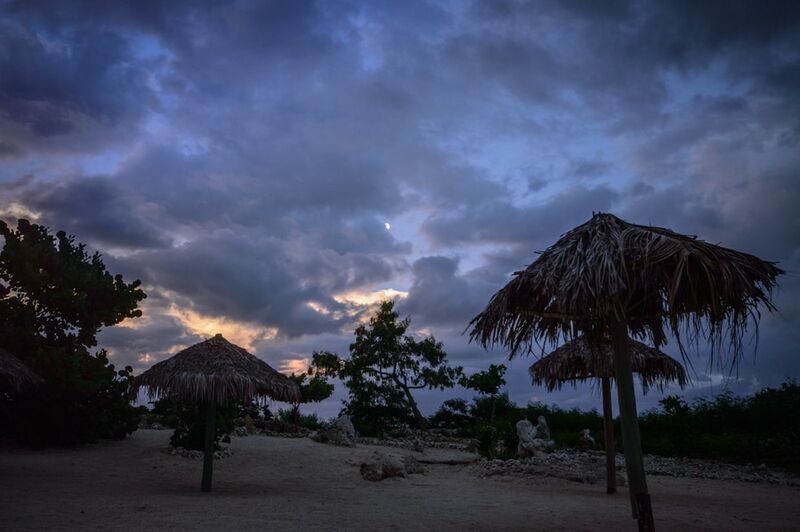 If you are staying late at Playa Ancón or any other beach in Cuba, do not forget to bring a good mosquito repellent. Generally, there will be mosquitos present anytime the temperature cools down, but what you really need to look out for is a flea beetle that locals call “pulguilla”. Found mostly in coastal areas, this tiny mosquito leaves a very annoying and incredibly itchy pimple-like sting. In addition, flea beetles target in groups, which can suddenly leave you what feels like a thousand bites all over your body. To make matters worse, both the marks and burning can remain for several weeks. My advice is that if you plan to be on the beach to watch the sunset, equip yourself with repellent. Hopefully, you are also accompanied by someone who tends to get stung more than you. In my case, I was accompanied by Dani and had no problem. I was not bitten by a single bug while he suffered from this painful presentation of the flea beetles. 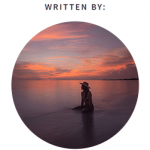 I could not leave out a section to talk about the nightlife of Trinidad in this complete guide. 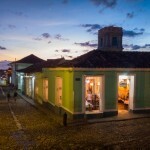 Even Havana cannot compete with Trinidad’s nightlife. To live the authentic Son Cubano touch, it will be your turn to lose yourself in the Trinidad night. 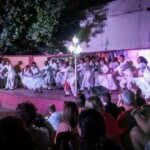 In this section we tell you three main sites where you can enjoy Cuban parties that you cannot miss. 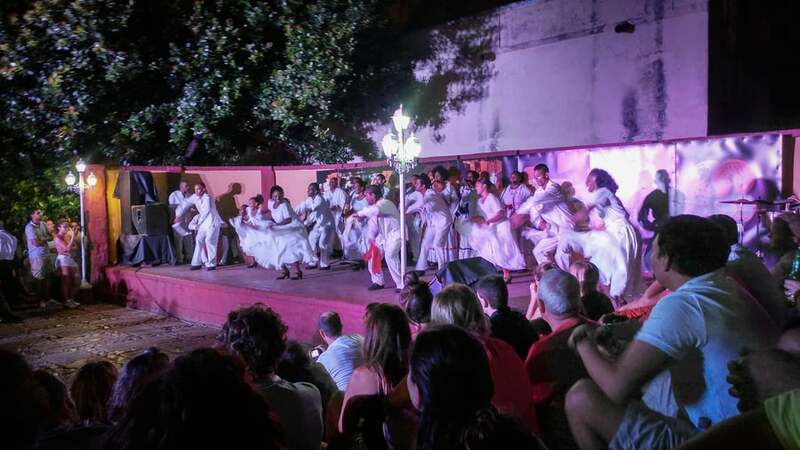 Of all the existing ones in Cuba, Casa de la Música of Trinidad is the most acclaimed. By day, you may pass the front of its stairs without appreciating it. At dusk, it is difficult to find a gap between the steps. Casa de la Música is composed of an outdoor stage and extra space to sit between the stairs, in addition to the few tables that are in front of the dance floor. Anonymous couples give themselves up for a dance, while the others look with envy from the stands. Normally, two groups play live. We were lucky enough to see two completely different styles. The first performance was Latin music, where they played a large part of our Cuban classics. The second, was of Afro-Cuban music. The humor, eroticism, and incomprehensible rites with a lot of emotional charge were accompanied by the rumble of drums made by artisans. We have never seen a similar performance. It seemed like a religious ritual. 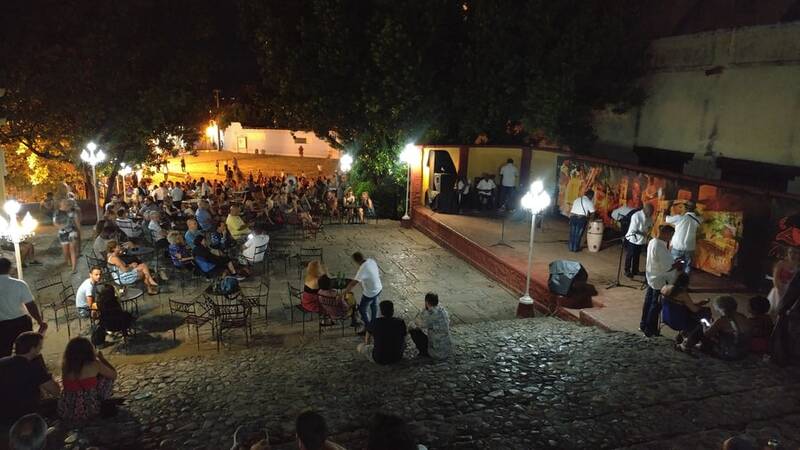 In the historical center, Casa de la Trova is an ideal place to enjoy Cuban music with a good rum. It is less crowded than Casa de la Música, mainly because the performances are not held outdoors. 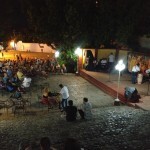 They also host live music and all kinds of events to promote Cuban musical development. It also serves as a museum, as decorations of local discographies and high cultural value objects are shown here. The price of admission is 1 CUC. We recommend this place if you prefer something less crowded than Casa de la Música. The Disco Ayala also known as la Cueva (the Cave) is one of the most popular discos in all of Cuba. The nightclub is directly inside a cave. The rough walls of the stone are illuminated every night with the lights of this club. If you want to end the night dancing to Reggaeton, or the two previous options are closed too early, we recommend that you come here. The place does not close until 3 in the morning. It opens every day, but it can be a bit overwhelming during the weekends. The price of the tickets and drinks is 3 CUC. It is located a little away from the center. We did not go there at the end because I got sick the night we had booked to go to the club, as I comment in this post. As soon as we return to the island again, we will for sure stop by this place. At least to me, this was probably the restaurant where we ate the best food on the whole trip, since being a vegetarian in Cuba is challenging. I have never imagined the limited variety of foods which Cubans have access to. 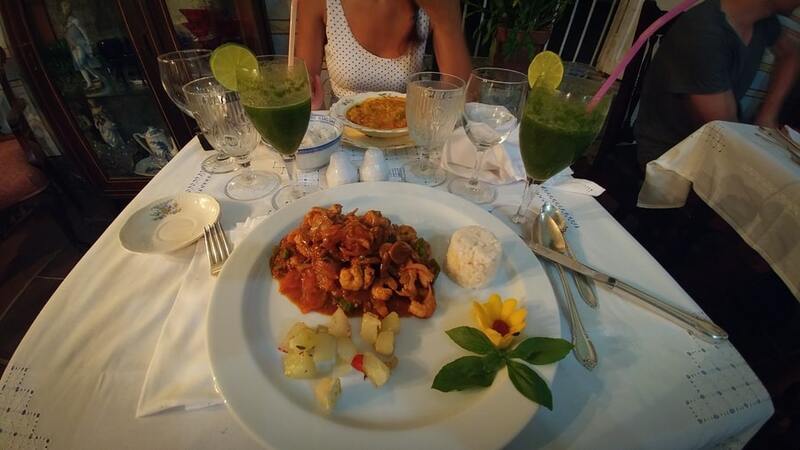 In Sol Ananda, there was everything and it was delicious. The decor also could not be more original, retaining all of the furniture from the old colonial palace where it is located. The tables were placed in a room where there was also bedroom furniture as a bed with golden details. The wardrobe, the mirrors, everything is from the colonial era. A visit here is required if you visit Trinidad. 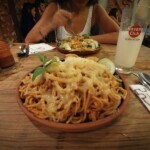 The price is ok – we dined two people with drinks included for 25 CUC. The staff is very nice, and we also enjoyed the evening with a group playing live. This place is ideal for traveling couples. We became fond of La Ceiba after the stories we heard at Ingenio San Isidro de los Destiladeros. The main attraction of this restaurant, as you can imagine, is one of these immense trees overlooking the terrace. We liked the place very much. I especially recommend it for dinner while enjoying the breeze of eternal summer. And not every restaurant are being suggested for couples in love. 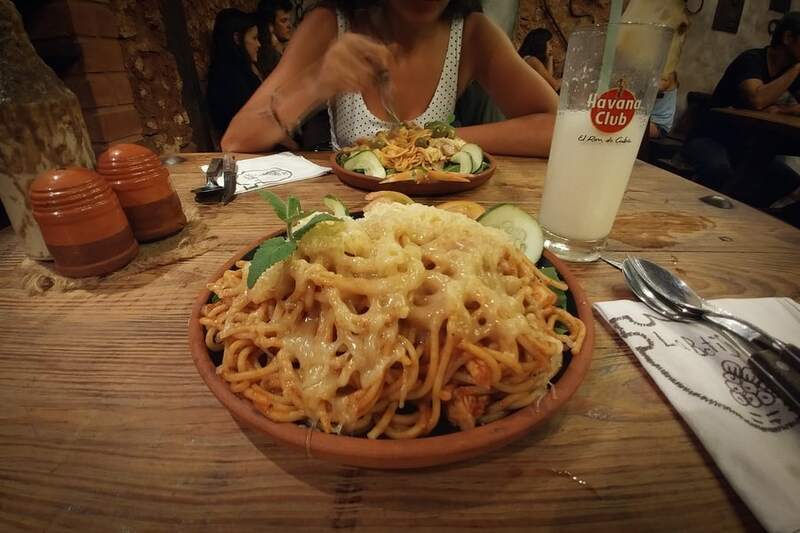 Our last recommendation for you to eat well in Trinidad is La Botija, a tavern that serves meals 24h. This is your perfect place if you leave the night club Ayala more hungry than tired. The quality is quite good for how cheap it is. The walls are decorated with instruments of torture used during the centuries of slavery, as well as shackles. We went to dinner one night here when we were out late and everything was closed. A few people recommended this place, and it was completely full. Groups of young people clearly arranged to go out that night in this place. 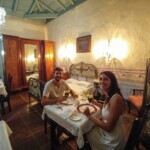 As we explained in the Guide to planning your trip to Cuba we always stayed in private houses. We typically found them the same day we arrived at a new place. However, for Trinidad I will insist on recommending our private house. It is called the house of Tony and China. 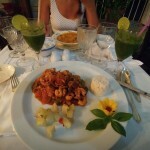 It is very close to the historic center, at 293A de Calle Desengaño. This couple owns our favorite house of the entire trip. 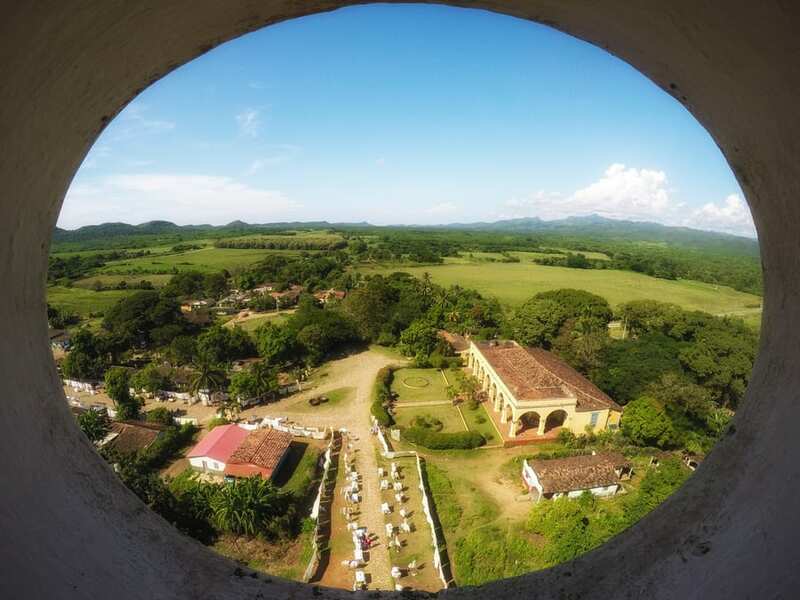 You could see all of Trinidad from the terrace, especially the tower at the Museum of the Bandidos and the tower of the Trinidad History Museum. 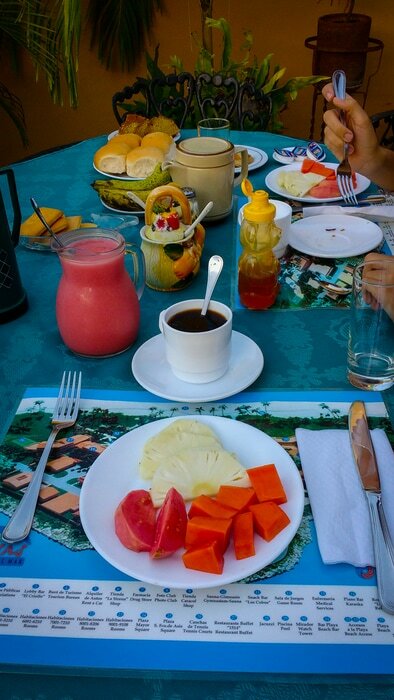 The breakfasts on the terrace for 5 CUC were great, with a variety that we did not see in other houses. Our landlord was also our driver for our trip to Valle de los Ingenios and Playa Ancón, as we said before. 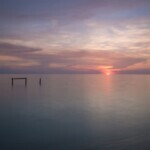 During my stay in Trinidad, I got infected by amoebas (in this post I will tell you my experience with Cuban hospitals and health insurance). Tony and China not only bought me medicine, they also cooked me a soft meal while I was recovering. Lovely people. 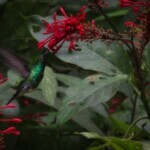 They were great hosts to us, and we would not hesitate to stay there again if we return to Trinidad. You can make a reservation at his home here. We did not reserve ahead, but we were able to negotiate for 15 CUC per room / night. 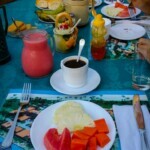 However, don’t be surprised if there are no rooms left if you go without a reservation during high season. 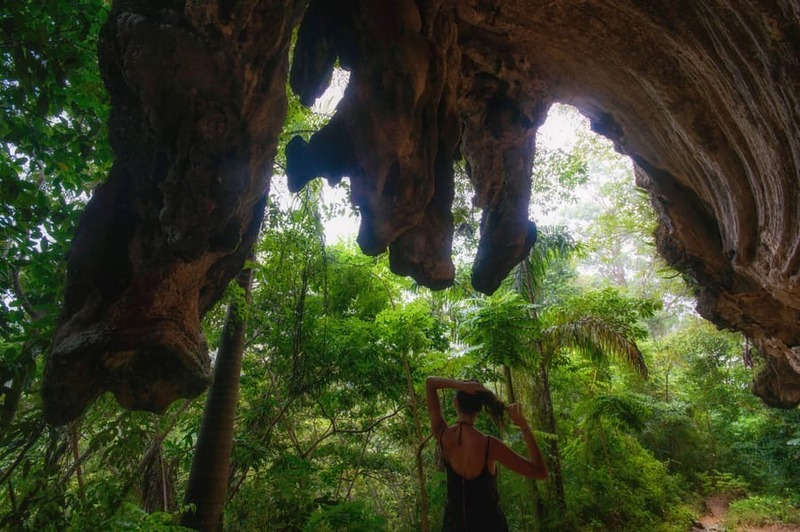 If you intend to visit the Old Town of Trinidad, hike the route to Salto del Caburní, visit Valle de los Ingenios, and enjoy a trip to Playa Ancón, plan for at least three full days. We stayed one more day because I got sick, but still left a lot of things that we didn’t get to see, especially around the old town. Three and a half days or four would be more than enough to not miss anything essential of Trinidad. To finish this Trinidad guide, we wanted to include a section on how to get to the city. 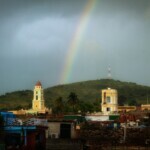 Trinidad is the most visited city in the northern half of Cuba, after Havana. Therefore, you will have no problem moving around via any means of transport. 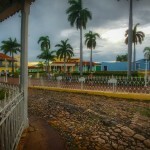 If you come to Trinidad from Cienfuegos, as we did, it is best to use a shared taxi. However, if you want to get to Trinidad from Havana, our recommendation is a private bus (if you want to leave from the center of Havana) or a Viazul bus (if you do not mind leaving from the Viazul bus station outside Havana). 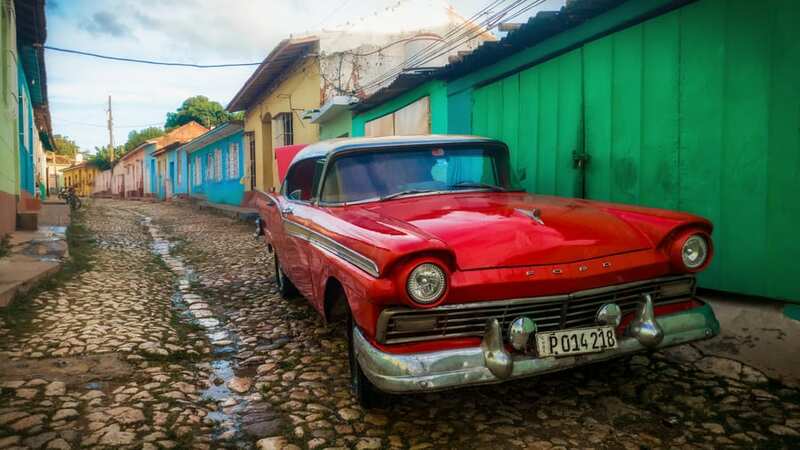 If you want to go directly from Trinidad to Viñales, you will not have other options than shared taxi, because you will have to first make a connection in Havana if you decide to go by bus, where you will lose a lot of time. 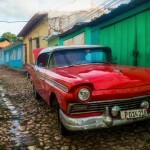 I recommend you to read the transport section included in the guide to planning a trip to Cuba. 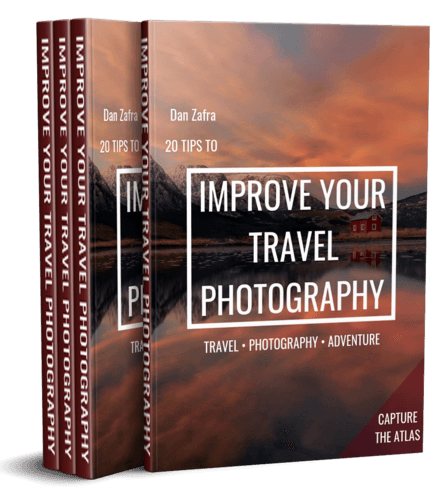 AND WITH THIS WE FINISH THE COMPLETE GUIDE OF TRINIDAD Cuba. 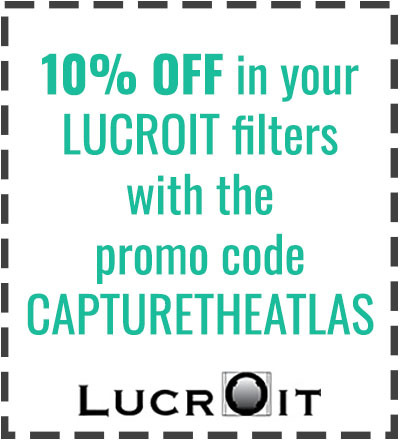 WE HOPE THAT THIS WAS USEFUL AND YOU CAN ENJOY THIS INCREDIBLE CITY. 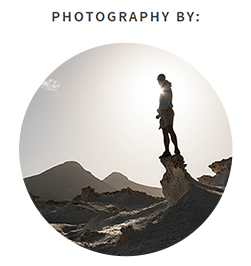 Brilliant blog – thanks for all the travel ideas! 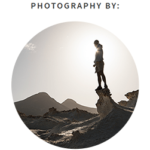 We try to get our readers travel through our guides. This is amazing stuff. 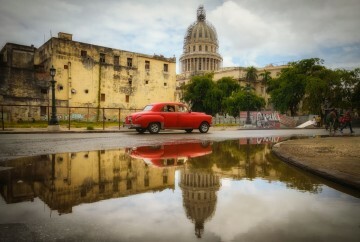 I am planning to visit Cuba this March. 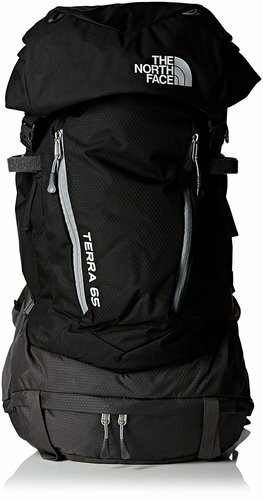 I have 7 days where i land in Varadero for 2 days and spend 3 days in Trinidad and 2 days in Havana. Your blog has got amazing information. Thank you. Thank you Antony. I hope you like it and let us know if you have any question.